Prior to General Election, this guy, a workers' union leader call for 14 million workforce in Malaysia to vote Pakatan Harapan. It end up, he come out with this statement yesterday. 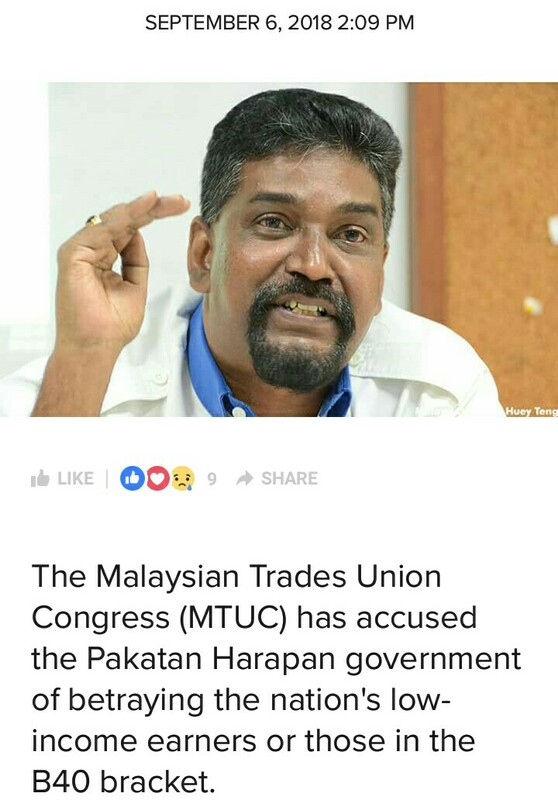 This guy is the one that call for workers to vote HARAPAN? To switch a government with solid economic plan to barehanded outdated opposition that sell only disputed stories of their own version. You are not leader. You are prostitute. But at least he is an independent soul. He knew that slaves will never willing to criticize their masters. He knew that he better join us that already merdeka and enjoying the kemerdekaan. Give him some zakat money. A renounce prostitutes are entitled.